The Barrow Area Information Database (BAID) was conceived in 2000 as a means for documenting where research plots and instruments were installed in the Barrow Environmental Observatory (BEO), but was soon expanded to include the Barrow area plus research around Atqasuk and Ivotuk. The effort was made possible because of a cooperative agreement between the Ukpeaġvik Iñupiat Corporation (UIC), the National Science Foundation and UNAVCO. Active researchers were encouraged to document where they were working to meet permit requirements for UIC, but also as a means of outreach about their work for other scientists and regional observing efforts. The usefulness of research site mapping soon became apparent as interest grew in re-sampling old plots to extend evidence for climate change. Information on active and historic research activities can be queried via the Research Site Viewer. The BAID team continues to provide support for mapping research activities via Differential GPS, but also accepts contributions about research activities via an online form and Excel template. Use the BAID Research Site Viewer to see the Who, What, Where and When of Barrow area science. Thousands of current and historic locations of instruments and plots may be queried with some efforts dating back to the 1940s during the hay day of the Navy’s Arctic Research Laboratory. Extend the “broader impact” of your research by documenting where you work and archiving the locations Satisfy your permitting requirements for working in the Barrow and Atqasuk areas. Be informed! Locate your research sites relative to others in your work area. 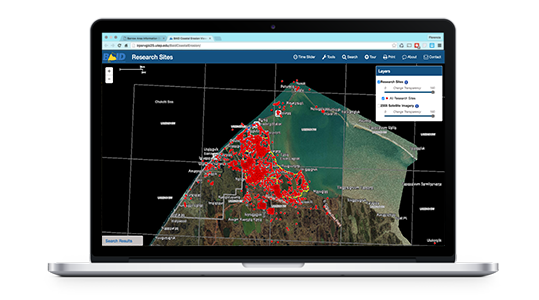 Improve the observational legacy of Barrow to enhance environmental change detection. BAID provides opportunity for educational outreach to the local Barrow community and the global scientific community. Differential GPS provides horizontal and vertical position with centimeter accuracy. UTEP’s Systems Ecology Lab can assist your research effort with DGPS mapping and post processing. 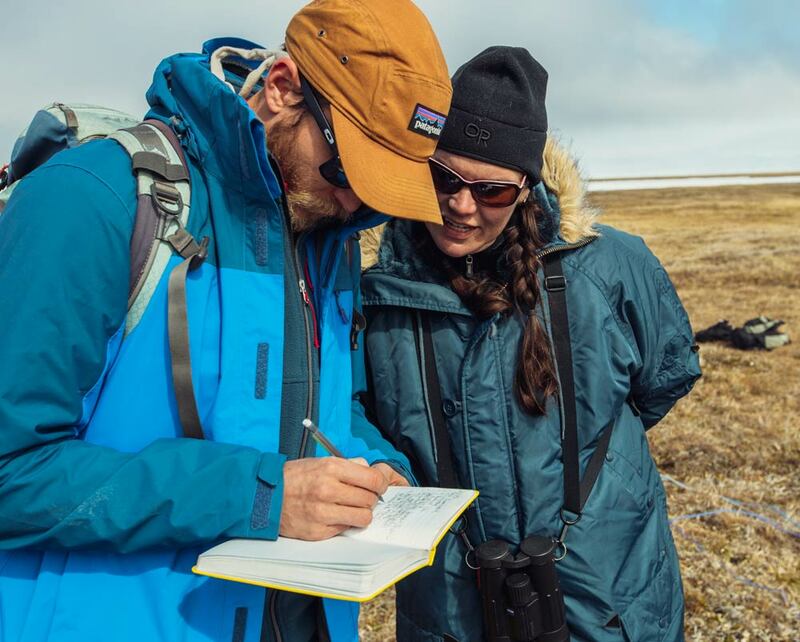 Trained staff are based at the Barrow Arctic Research Center (Room 171) from late May through the end of August during the peak field season. Schedule an appointment for us to tag along with your crew (Contact Ryan Cody via rpcody@utep.edu or Stephen Escarzaga via smescarzaga@utep.edu). UTEP also maintains the Barrow DGPS Handbook (download) to provide guidance and answer common questions for using the Trimble R7 and R8 units, as well as for post processing surveys with Trimble Geomatics Office. Through meticulous techniques the BAID team aims to track changes along historical research plots in or around the Barrow Area.